We’ve hit the $3M mark now on Project Eternity and it’s on to add another Big, Big City to the game! We have less than 50 hours to go before the Kickstarter ends! Before we announce some new stuff, some quick housekeeping is in order. 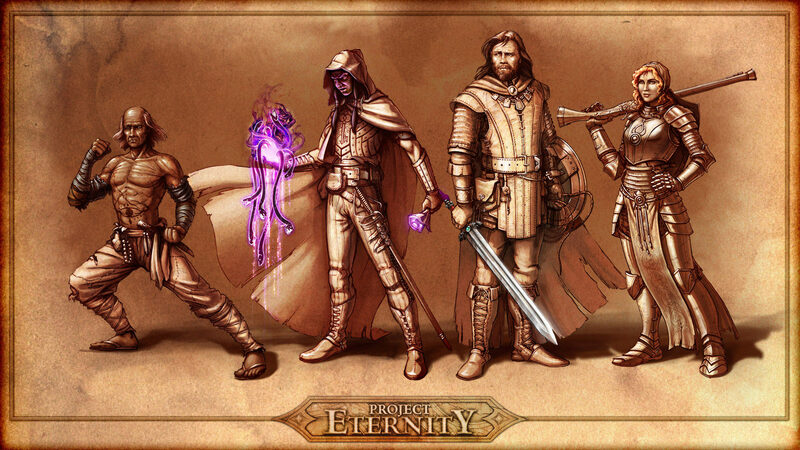 If you are looking to add anything on to your pledge, check out our Project Eternity Add-On List page. This includes instructions on how to add on other options, as well as what our current offerings are. Also to reduce some confusion in finding what each tier contains (we’re no longer able to update some of our posts on the Kickstarter site), we have a comprehensive list of the Project Eternity Reward Tiers up as well over on our Tumblr site. Two last items, we’re hosting an AMA (Ask Me Anything) tomorrow on reddit. A number of Project Eternity staffers will be on hand at 10 AM PDT / 1 PM ET to answer your questions about the game! Then at 5 PM PDT / 8 ET, watch us on Ustream play some D&D in the studio! The big news for the day is that we are adding a documentary covering the development of Project Eternity. After getting a lot of requests to do a documentary, like the Double Fine Adventure, we started looking into it a couple of weeks ago. We talked about it more last week and decided that we don’t have a visual history of one of our games, even after almost ten years as a company. We felt it was something we should just do and do it without it being a new stretch goal. So, we are happy to announce that we are going to include a stream, download, or physical copy of the documentary in all of our Kickstarter reward tiers. At the $20/$25 level you will be able to stream it, at the $35 level you will be able to download it, and at the $140 level (and physical tiers above) we will include a DVD / Blu-ray. We are not going to use the Kickstarter funding to do this however, since this is something we decided to do anyway. 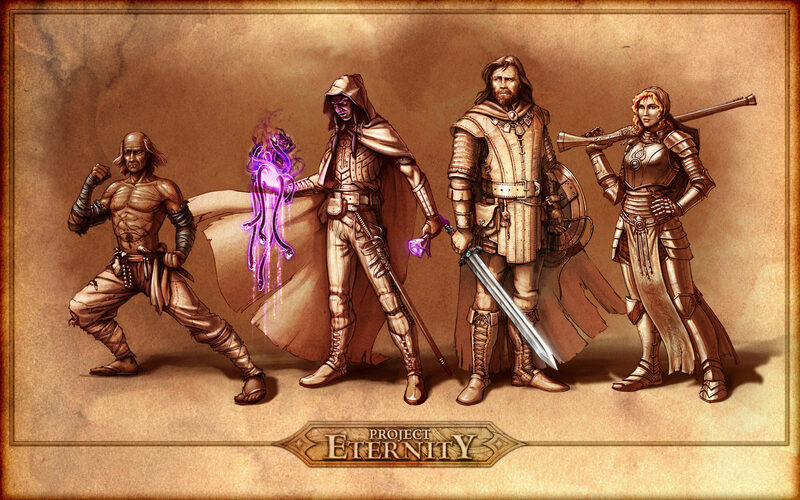 To us, it is a thank you to all of you for supporting us over the last month in making Project Eternity a reality and a historical record for everyone at Obsidian as well. Tomorrow, we will be updating everyone with a schedule for Tuesday and another fun add-on. Oh and we have some plans for a crazy new reward tier for Tuesday morning. Like us on Facebook! Next goal is 40,000 likes for another Mega Dungeon level. We're also on Twitter: @Obsidian. We announce ongoing PayPal figures there too. Um, plz can have Sagani concept art in Polina style too? Thx. Ooh, more stuff... Documentary I like. Cards...... I could give as a gift. Edit: Also, I love that Edair's skeptical/wary look is directed at Aloth's direction. HA! Edited by Ieo, 14 October 2012 - 02:14 PM. i really like the cards!! I bet the tension at the office is at an all time high for the next couple of days. They are also now all confirmed companions. Can we update the wiki? Good luck and thanks for the documentary, adding it like that is pretty damn gracious of you. How did you guys know I can't resist playing cards?! I mean, I have no one to play with, but I still love them. *glances at her poor, crying wallet* You can spare ten bucks, can't you? Really looking forward to the documentary and the cards are a good idea. My apologies on them being stated here as companions - that should have read "key characters'. Editing now! I am getting more excited about this game everyday. **** hadn't thought about that! Hmm... Playing cards any idea on how they will look yet? Edited by Kaldurenik, 14 October 2012 - 02:39 PM.